Charlene James’ powerful two-hander takes FGM as its subject. It’s a barbaric practice still happening behind closed doors in modern Britain, represented here by Joanna Scotcher’s brutal concrete set and Azusa Ono’s harsh lighting. The protagonists of James’ play, astutely directed by Gbolahan Obisesan, are victims of the most horrendous physical and emotional pain, yet they retain compelling voices that are personable, unflinching and witty. The loquacious Muna has lived in Britain since early childhood, has lots of friends and only speaks Somali reluctantly at home. The lonely, circumspect Iqra witnessed the slaughter of her family and helps her ‘auntie’ with her ‘community work’. The two monologues join together in a dialogue over the anticipation of Muna’s seven-year-old sister’s impending loss of innocence. The compassion with which James draws both girls brings out two deeply affecting performances. 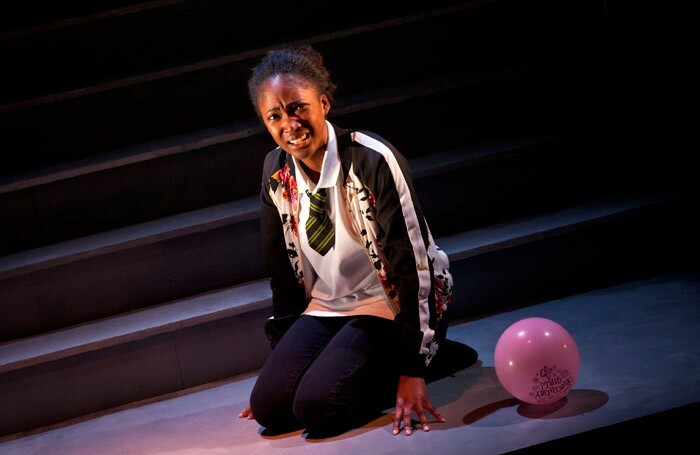 The charismatic Adelayo Adedayo movingly conveys the simmering panic beneath Muna’s happy-go-lucky chatter and Tsion Habte brings remarkable maturity to Iqra’s loyalty to tradition and her empathy not yet desensitised by disinfectant. Following a UK tour, Cuttin’ It surely also has a future with community groups and schools. Even if largely performed to audiences already aware of this issue, it’s impossible to have too visceral a reaction to a ritual in which ‘parties’ of little girls are booked in at a slaughterhouse to be turned into ‘women’ in the most monstrous perversion of a group booking discount. Harrowing subject matter imbued with compassion in the most brutal of circumstances.